Home > My Passion.....Bikes > Pulsar Stunt Mania - HANDA!! 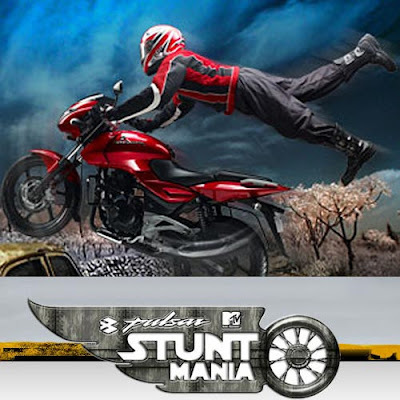 Pulsar Stunt Mania - HANDA!! A deadly stunt..... and Handa emerges as the ULTIMATE WINNER!! A car getting blown away in the background, a crying Javed, a Akshay Kumar looking in awe and Handa zooming away on his Black Chrome Pulsar 220 DTSi!! I could feel both for Handa and Javed. I always wanted Handa to be the winner, but the way Javed was crying, really expressed the sorrow of a biker who couldn't not get his dream bike. An ecstatic Handa rolling is bike all over the place needed no words to express his joy. Really infront of his machine, the amount of 5 lakhs seemed so punny.